MS-DOS is a trademark of Microsoft Crop. Unix is a trademark of AT&T; Bell Laboratories. VAX is a trademark of Digital Equipment Corp. IBM PC is a trademark of International Business Machines Corp.To use SST on an IBM Personal Computer (or compatible), it helps to know a little about the disk operating system (DOS) used on the IBM PC. The best reference is your DOS manual (supplied with your computer), but we will review a few simple commands here. SST requires version 2.0 or higher of PC-DOS or MS-DOS. DOS (Disk Operating System) was the first widely-installed operating system for IBM-compatible personal computers. DOS is a non-graphical line-oriented command-driven computer operating system. It has a relatively simple–but not overly “friendly”–user interface. The earliest versions of the Microsoft Windows operating system were really just applications that ran on top of the MS-DOS operating system. Modern versions of Windows (Windows 95 and greater) no longer run on top of DOS, but do retain a DOS-like user interface called the “MS-DOS Prompt” or “Command Prompt”. The command prompt allows Windows users to issue DOS commands to the system. 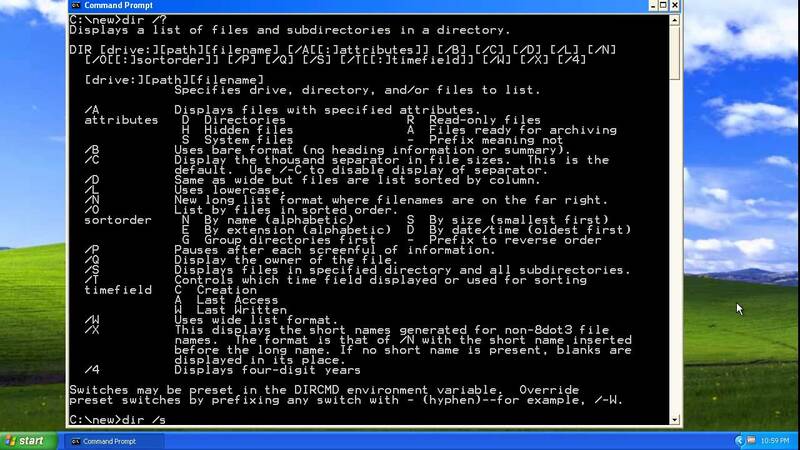 DOS commands are useful to Windows users for a variety of reasons. Many tasks that can be performed in the Windows graphical environment can be performed much more quickly and efficiently by utilizing DOS commands. Also, most bootable floppy disks will boot the system directly to a DOS environment. In the “Open:” field, typecommand. Commands are typed and echoed to the screen at the cursor’s location. Usually commands consist of a keyword, followed by optional flags, followed by a path. More will be explained about syntax and additional flags under each specific command. Previous articleWhat is C Language ?